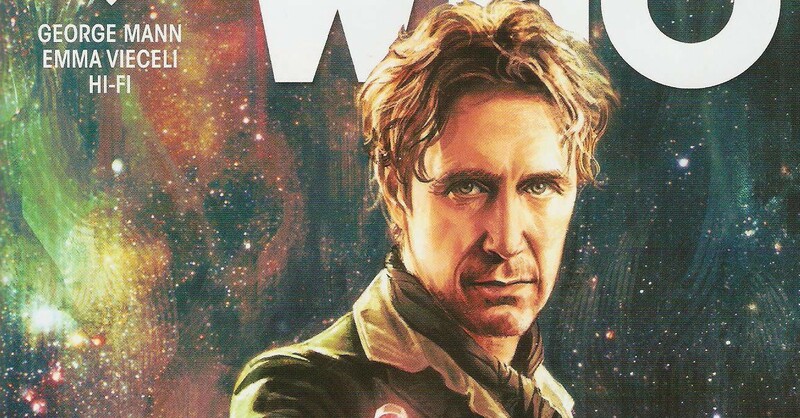 Reviewed: The Eighth Doctor #1! 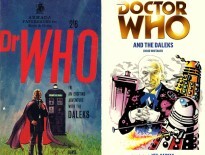 Titan Comics Doctor Who: The Eighth Doctor Adventures gets off to a strong start with The Pictures of Josephine Day; a village under siege story featuring some familiar monsters, an artist whose lifelike drawings are threatening the locals and a message wrapped in classic literature from a previous Doctor – you see it’s not just the title that offers a literary clue for adventures to come. Speaking of the Doctor, the Eighth Doctor’s introduction is a carbon copy of his remarkable entrance in The Night of the Doctor – the key difference being that, while we didn’t get the Doctor we expected in the mini-episode, here we’re getting an expected Doctor but a different attitude. When I say an ‘expected Doctor’ his appearance is still a little jarring – seriously, he maybe the romantic Doctor but here, he’s positively Byronic: foppish, with disarming blue eyes and a charming smile; he gives the impression he’d be more at home relaxing upon the chaise lounge than solving the universe’s monster problem. 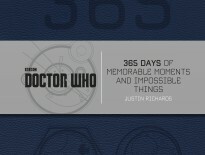 However, the spirit of Paul McGann is ever present. Leaning in the doorway to his old cottage, this is a Doctor unburdened; the events of the Time War are his future but our past – it makes his childlike excitement at the unfolding mystery at the heart of this sleepy Welsh village all the more infectious. The issue see the Doctor startle a young artist called Josie Day, who unbeknownst to both of them, has been squatting in an old cottage he previously used back in another incarnation. You see, the Doctor has come back to pick up his copy of Jane Eyre, where, contained within, is a message from his previous self with instructions on where to go and what to do. Josie maybe homeless but that doesn’t mean she isn’t industrious. While living under the Doctor’s roof, she’s tidied up, done a spot of renovating and even found time to paint – she’s both an innocent dreamer and enduringly earnest: she takes the Doctor’s claim to ownership at face value while lamenting her lot in life, threatens to have a word with one of the regulars who obviously has a history of getting a bit leery, and, rather sweetly, takes responsibility when her artwork comes to life and starts attacking the villagers. Along the way there are some neat visual tricks that keep the pace flowing – it might seem strange to talk of silence in a comic book but the first page is perfectly understated; letting the sound of the TARDIS materialising and the slight creek of the floorboards tell the story; accompanied by some beautifully cinematic establishing shots of the cottage. Other assured artistic choices by Emma Vieceli and colourist Hi-Fi include characters breaking frame to emphasise heighten emotions, layering of panels with action underneath – in this case, the monster’s green footprints wandering across the page, and, there’s also a great moment where the Doctor’s fabulous blue eyes turn to black pinpricks as he becomes exasperated at Josie’s literary blind-spot. If I was to nitpick then one feature that I’m not sure about are the random rectangles of various shades of colour that occupy certain pages – sure they balance out the layout, connote movement and make your eyes journey across the page easier but some of them seem a little out of place or inconsequential. That said, the artwork is consistently bright and engaging – with some beautiful pastel shades and charismatic character designs. I guess, if you were looking for a one-word review for the issue, then charismatic isn’t a bad choice. It’s a confident, engaging start. George Mann’s Eighth Doctor is spot on; he’s not the battle weary soul we saw in the mini-episode but he certainly displays the witty, romantic charm of the TV Movie – the joy he gets from encouraging Josie to be the best she can be, is an obvious highlight in an issue full of great potential for future adventures.